It’s true that lower gas prices mean more people are on the roads, taking longer trips and that inevitably leads to a spike in crashes. But there is more going on. Drivers have more sources of distraction than ever. Impaired driving continues to be a major problem. Streets are still not designed to protect the safety of vulnerable road users like pedestrians and bicyclists. Let’s start with the NHTSA study. Preliminary data released by the agency shows that traffic deaths went up almost 8 percent in 2015, with 35,200 people dying on our roads that year. That’s compared to the 32,675 who died in traffic accidents in 2014. In some regions of the U.S., traffic deaths were up by nearly 15 percent. In Massachusetts, which is in Region 1, traffic deaths were up 10 percent. That region includes Maine, Vermont, New Hampshire, Rhode Island and Connecticut. The NHTSA is exploring a number of initiatives that will help to address some of these issues. For example, the agency was able to reach an important safety agreement with auto manufacturers in which it was agreed 99 percent of new vehicles will have standard automatic emergency braking within six years. That’s encouraging, and any reduction in road deaths we can get is good. 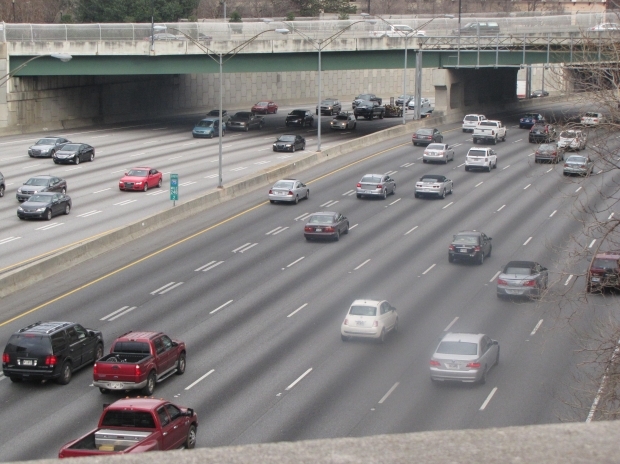 The CDC report detailed how there has been a 31 percent fall in the per capita rate of motor vehicle deaths over the course of the last 13 years. Great news, right? Sure. But when we look at that data compared to 19 other wealthy countries, we see that on average, their per capita motor vehicle death rate fell by 56 percent during the same time frame. That makes our numbers seem quite a bit less great. In fact, the U.S. had the slowest decrease of any of those 19 countries. Denmark, for example, dropped its by 64 percent, while Spain dropped its by 75 percent. If the U.S. were improving its motor vehicle fatality rate at the same average pace as these other countries, we’d be saving 18,000 lives a year. Instead, we have 90 people dying every single day – in car accidents that are completely preventable. The U.S. also ranks No. 1 in crash deaths per 100,000 people and in deaths per 10,000 registered vehicles. In terms of the percentage of people killed in drunk driving deaths, it’s second only to Canada. The CDC’s director of the National Center for Injury Prevention and Control said on one hand, the numbers are discouraging. We see how much worse off the U.S. than other developed countries. But on the other hand, there is hope in that. If we see that other countries have been successful in driving down their car accident fatalities, we know that it’s possible for us to do it to. Perhaps we can learn from what’s working in their countries – and what isn’t in ours.